It doesn't get much easier than a roast chicken for dinner, and this recipe is an excellent choice. 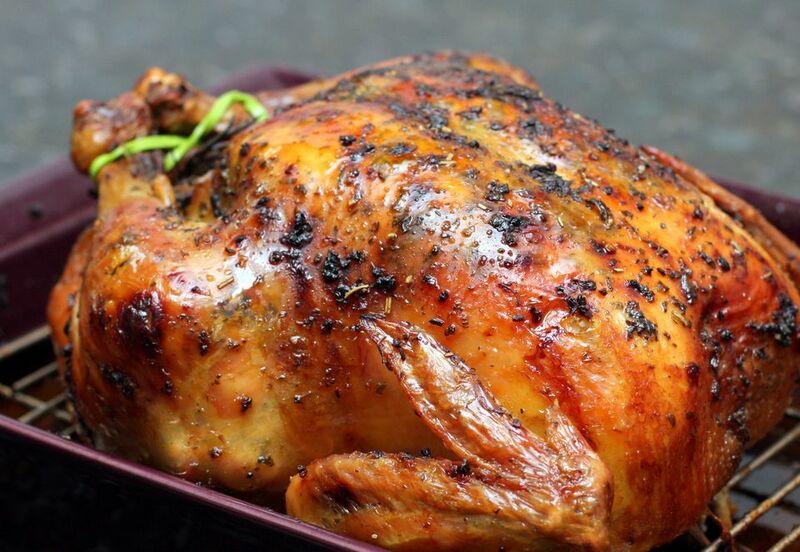 The chicken is roasted to perfection with a lemony herb and butter rub. Preheat oven to 350 F (180 C/Gas 4). Rub inside of chicken with lemon juice; sprinkle with salt and pepper. Add the onion quarters, celery, and a few sprigs of parsley to chicken cavity. Combine the melted butter with the chopped parsley, rosemary, and thyme. Brush some of the butter mixture over the chicken. Place chicken in a shallow roasting pan and roast at 350 F for about 20 minutes per pound. Baste with melted butter and herb mixture several times. Internal temperature should register at least 165 F on a meat thermometer inserted into the meaty part of the thigh.